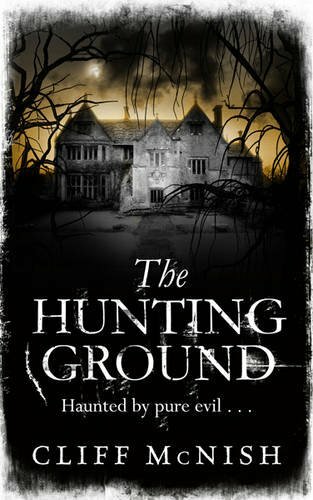 The Hunting ground is a really creepy thriller which will play on your mind long after you finish reading it. It is well written and keeps you engrossed all the way through, with every word precisely selected and masterfully deployed to scare the pants off you. The story centres around a family of three Elliot, Ben and their Dad who have moved into a creepy old mansion to renovate it. As time goes on strange things are seen and heard which makes the family start to worry that there might be something not quite right with their new accomdation, especially in the ultra creepy East Wing. This niggling worry is only made worse when the boys see a creepy old lady wandering around the grounds and see what appears to be a ghost of a little girl in the building. I enjoyed how this story was told. You follow it quite closely through the eyes of Ben and Elliot of main characters of the piece and you follow them as they try to piece together the mystery behind the house. I liked how they stumbled upon a diary of a teenage boy who used to live in the house and how this is used to tell the backstory to the house and the things that went on there previously and hint at a murder mystery that the boys try to get to the bottom of. The story is fast paced and gets creepier as the story goes on. It soon becomes apparent that the strange happenings are casused by ghosts who are still residing within the house and more worryingly that these aren't the sort of ghost who intend no harm to the lastest occupiers. The ghost involved is that of the former owner of the house whose spirit is as nasty and strange as all the weird all portraits that adorn the walls of the house make him out to be. The story continues to gain momentum to the point where the pace becomes breakneck and you don't want to put it down as you need to know what happens next. I'm not going to go into any details about the plotline itself as I don't know how I could do it justice and not spoil it but I will say that the final conclusion is both awesome and very satisfying as a reader. All in all a wonderfully creepy read which royally freaked me out throughout and played on my mind long after I finished reading it. Not for the faint hearted but certainly one I would recommend. Oh I am so excited to have this one. I can't wait to read it. I really wanted to pick this up anyway, but after reading how much you enjoyed it, I want it even more! Plus that cover is pretty creepy. This sounds really good. Thanks for the review. I love creey ghost stories.